If you travel across the United States, you may see some familiar restaurants, such as McDonald’s, Taco Bell or Round Table. These are called franchises. All of these restaurants are operated the same way, but each has a different owner. 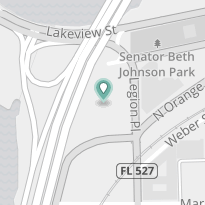 If you’re a Florida resident interested in having your own business, but aren’t interested in all the work of starting a company from scratch, perhaps you are interested in operating a franchise from Jack in the Box or Fatburger. These two popular fast food restaurants are looking for franchisees in Florida. Jack in the Box has more than 2,000 restaurants in 21 states and is primarily found on the West Coast. Interested franchise candidates can attend the Airport Revenue News Conference and Exhibition on March 12-15, 2018 at Rosen Shingle Creek. To qualify, you must have at least seven years of restaurant experience, as well as $750,000 in liquid assets and a net worth of at least $1.5 million. Fatburger is another possibility for those looking for a burger joint to call their own. Fatburger is based in California, where it has more than 150 locations. It has no locations in other states currently. Franchising allows a person to own a business without having to start it from scratch or come up with products. You pay an initial fee as well as royalties on a regular basis. In return, you receive the franchise’s trademark as well as the right to use the franchise’s system and products. Franchising is beneficial because you don’t have to worry about marketing to drum up business. Franchises are often well-known names and come with a built-in customer base. For example, if you decide to open a McDonald’s franchise, you can bet that you’ll have a solid customer base because McDonald’s is a household name. You’ll get to use the franchise’s tried and true business model. You’ll be able to use their proven processes, which have been perfected through trial and error. You won’t have to worry about making mistakes. One of the biggest decisions will be choosing the right franchise.Obviously, you want to choose a company that interests you. What are some your favorite places to eat? Are these companies growing? What do their reviews look like? Are they viewed favorably? There are other things to factor in. What are the costs involved? How organized is the franchise? Are you willing to give up control and run the company per the franchise’s instructions? If everything seems acceptable, then you could be on your way to becoming a successful business owner. Franchises are proven business models, so they can eliminate some degree of risk for entrepreneurs. 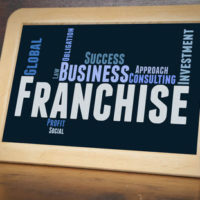 While buying a franchise may appear to be easier than starting your own business, there are still specific rules and procedures to follow. Orlando franchising lawyer B.F. Godfrey from Godfrey Legal has several decades of experience helping entrepreneurs take the final leap into business ownership. If you’re ready to succeed, he can help you understand the laws that apply. Contact Godfrey Legal at (407) 890-0023 for a consultation.